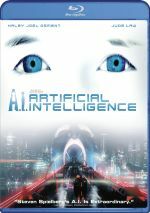 A young programmer is selected to participate in a ground-breaking experiment in synthetic intelligence by evaluating the human qualities of a breath-taking humanoid AI. 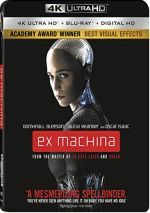 After a fairly long career as a writer, Alex Garland made his directorial debut with 2015’s Ex Machina, a provocative science-fiction tale that earned him ample praise. Caleb Smith (Domhnall Gleeson) works as a programmer for an enormously successful Internet business. Caleb wins a competition that will allow him to spend a week at the mountain estate maintained by Nathan Bateman (Oscar Isaac), the company’s brilliant but reclusive CEO. There Caleb becomes part of a complex experiment that involves “Ava” (Alicia Vikander), an artificial organism. If forced to pick a flaw with Ex Machina, it’d stem from the movie’s semi-derivative feel. Actually, “derivative” probably doesn’t apply, as the movie doesn’t come across like something that imitates other films. However, Garland clearly wear his influences on his sleeve. Ex Machina often boasts a very Kubrick feel, and it can come across like a mix of Shining and AI with more than a minor dollop of Blade Runner thrown in as well. Despite those obvious influences, Ex Machina manages to stand on its own, as it becomes a fairly intriguing tale. I like that it unfolds in a gradual manner that doesn’t telegraph much. Instead, the tale unspools in a way that delivers plot and character information without clunky exposition. We learn what we need in a stimulating way that manages to feel natural and unforced. Ex Machina becomes an insightful philosophical piece that doesn’t bore us. It mixes in its thoughts about the nature of humanity and awareness with enough character and plot bits that the headier moments never seem pedantic or dry. A solid cast helps – albeit a limited cast, as Gleeson, Vikander and Isaac heavily dominate. All do well, though I think Isaac fares best, largely because he gets the slipperiest character. Nathan wears a lot of hats in the movie, and Isaac ensures that we never quite nail him in a one-dimensional way. Vikander also does nicely as our resident robot. She manages to give Ava the air of an artificial creation but she doesn’t rely on cheap gimmicks to convey this attitude, so she manages to create a character with enough warmth to pass for human but still with a clear layer of detachment. A fairly inexpensive affair, Ex Machina also benefits from surprisingly good visual effects. Granted, the movie doesn’t need to create whole new worlds ala the biggest sci-fi efforts, but it still requires high-quality CG to succeed. If we don’t buy Ava as an artificial creation, the film flops. Happily, it pulls off those effects in a largely seamless manner. All of this adds up to a stimulating science-fiction tale. Ex Machina delivers a good mix of character and philosophical beats to turn into a winner. Ex Machina appears in an aspect ratio of approximately 2.40:1 on this 4K UHD Disc. Despite a few minor issues, the movie came with a generally good image. Sharpness became the main area of minor concern, as delineation varied. While most of the film offered solid clarity, occasional soft shots materialized. This may have reflected the source photography, but the variations made this less obvious. I saw no signs of jagged edges or moiré effects, and the movie lacked edge haloes. Print flaws also failed to appear. In terms of colors, Ex Machina opted for a subdued push toward orange and teal. These hues dominated but seemed restrained and came across fairly well. The HDR abilities of 4K UHD added some pep to the tones. Blacks seemed largely deep and dark, and shadows displayed nice smoothness. The visuals satisfied. A chatty sci-fi effort, the film’s DTS X soundtrack only occasionally sparked to life. Downconverted to DTS-HD MA 7.1, the audio used the various channels in an appropriate well, albeit a fashion that lacked much real zing. Music formed a significant aspect of the track, as the pulsing score spread around the room in an involving manner. Effects lacked as much to do, but they created a good sense of place and they added some punch when appropriate, such as during a helicopter trip at the story’s start. Audio quality appeared positive, with speech that came across as concise and natural. Music provided a vivid, full presence with good range and impact. As noted, effects played a moderately background role, but they worked fine, with qualities that made them seem accurate and rich. The soundtrack filled out the movie well. How did the 4K UHD compare to the Blu-ray version? Audio remained identical, as both offered the same DTS-X mix. Visuals boasted a moderate step up, though, as the 4K seemed a bit tighter and offered superior brightness/contrast as well as more vivid colors. Some of the same softness still appeared – due to the source – but the 4K gave us a more film-like experience. No extras appear on the 4K disc itself, but we do get a mix of materials on the included Blu-ray copy, and we open with Through the Looking Glass, a 39-minute, 59-second program. It includes info from writer/director Alex Garland, producers Allon Reich and Andrew MacDonald, production designer Mark Digby, director of photography Rob Hardy, costume designer Sammy Sheldon Differ, makeup and hair designer Sian Grigg, visual effects supervisor Andrew Whitehurst, and actors Domhnall Gleeson, Alicia Vikander, Sonoya Mizuno and Oscar Isaac. “Glass” examines the project’s origins and development, story and characters, cast and performances, sets, production design and locations, photography and visual choices, costumes, and visual effects. A tight, efficient piece, “Glass” covers a lot of territory in a compelling way. It gets into a good array of topics and does so with insight. This winds up as a solid documentary. Nine Behind the Scenes Vignettes fill a total of 28 minutes, 40 seconds. Across these, we hear from Garland, Whitehurst, Digby, Hardy, Grigg, Vikander, Differ, Reich, Isaac, Differ, MacDonald, Gleeson and composers Ben Salisbury and Geoff Barrow. These examine the design and execution of Ava, sets and visuals, story/character areas, effects, cast and performances, music and Garland’s impact on the production. Though these feel a little more promotional than “Glass”, but they add some good information. Next comes a Q&A shot at the March 2015 South By Southwest Festival. It runs one hour, 57 seconds and includes a panel with Garland, Isaac, Hardy, Salisbury and Barrow. The Q&A looks at story and character areas, themes and interpretation, music and photography, and related domains. Most panels like this act as little more than bland promotion, but this one differs. It digs into the movie with a lot of insight to become a lively chat. The Blu-ray opens with ads for Maggie, Cut Bank, A Most Violent Year and Under the Skin. No trailer for Ex Machina appears here. Though it occasionally threatens to feel like a catalog of influences, Ex Machina still manages to become its own film. It brings a tense, tight sci-fi effort that holds up well. The 4K UHD offers positive picture and audio along with a fairly good set of supplements. Ex Machina turns into an involving effort that the 4K UHD reproduces well.